The divorce process can be a complicated and difficult time for everyone in a family. It is a process that most of us only go through once in our lives (we hope!) so it is natural to have many questions about the process. Johnson Mediation specializes in providing divorce mediation services for those who are looking for an alternative to settling the terms of your divorce through the courts. 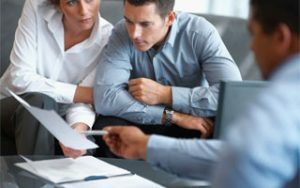 Here are some common questions about the divorce mediation process that can help you decide if it is something that you want to pursue. What is the role of a mediator? A divorce mediator is a neutral third party that you can hire to help facilitate discussion surrounding the important aspects of your divorce settlement. A mediator understands divorce law and is a resource for how the divorce process should work, but will not influence the decisions made by the couple. A mediator is trained to help facilitate positive and productive discussion that can result in unique and sometimes creative solutions that work well for your family. How much does mediation cost? Mediation is generally much less expensive than settling your divorce in the courts. On average, mediation costs two to ten times less than a court battle. How long does mediation take? The length of the process does depend on the complexity of the case as well as your availability for mediation sessions. 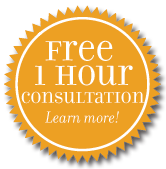 Generally speaking, you can expect that the mediation process will take 3-4 two hour sessions over the course of a few months. A court based divorce will take much longer. Can the mediation process be used to settle all aspects of a divorce? Mediation can solve even the most complex and adversarial divorces. Divorce mediation can help find solutions to all issues including division of property and assets, development of a child support plan (also known as a custody agreement) as well as determination of the need for child and/or spousal support. Is mediation confidential? State law dictates that no one can use what is discussed in mediation sessions as evidence in court. In fact, each party signs a confidentiality agreement before the mediation process begins. If you have additional questions about the divorce process or to learn more about divorce mediation, check out our Divorce Mediation FAQs or contact the team at Johnson Mediation at (952) 401-7599 to schedule a free consultation. We understand that this is a difficult time and we will work to help you move through the process so that you can move forward with your life.